Hello! My name is Jesse Born and I'm a puzzlebox maker in upstate New York. Welcome to my Website! 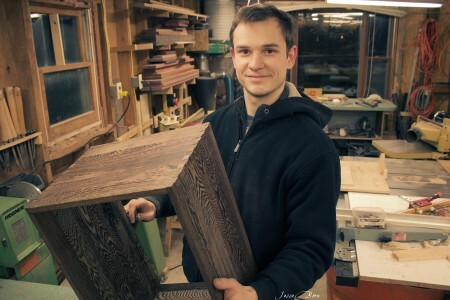 I've been fascinated with woodworking ever since I was just a small kid and I decided I'd like to pursue woodworking as a career when I graduated high school. I found out pretty quickly that my biggest market was in secret opening boxes, something I'd been interested in on my own before I discovered the niche online, and I can't think of a better career that I'd enjoy more than building these in my small workshop every day! Please follow my Facebook and Instagram for the latest news! If you're interested in purchasing one of my puzzleboxes check out the For Sale page on this website. If you're interested in getting the puzzlebox production newsletter just leave a note in the footer below. Thanks!